I am a tad obsessed with stationary. Every since I started school, the only thing I looked forward to was buying some new stationary for a fresh year at school. Well blogging is a bit like the new school year you always need some stationary whether it's for jotting down some post ideas or writing up a to do list. Notebooks- I can't get enough of notebooks. I buy them all the time even when I don't need them. Some of my favourites are from Rifle Paper Co they get it right every time and once I see a new design I can't help but fall in love and purchase one. I own the botanics notebook collection and botanical journal. Organisation- Ever since I started blogging stationary that helps me keep organised has become an obsession of mine to buy. 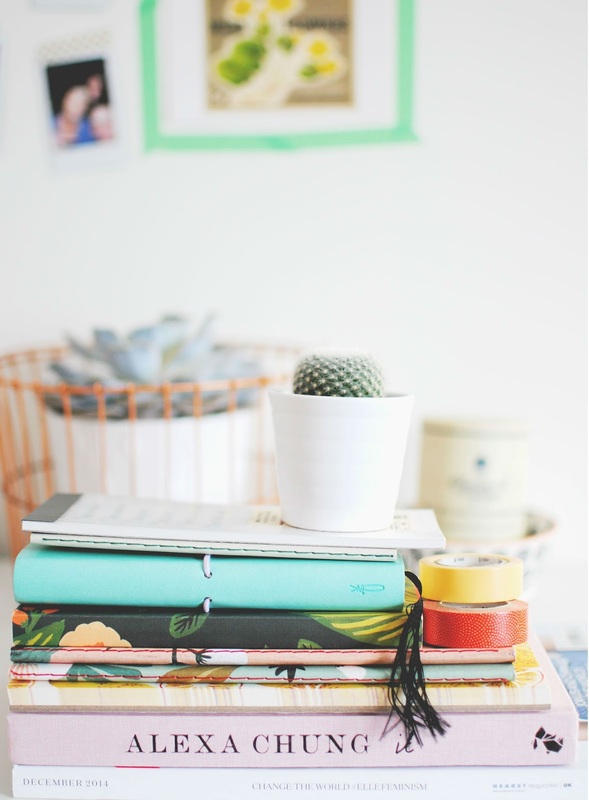 There are so many pretty organisation books and tools that can really help you get organised. I love using Emma Bridgewater's to do pad, Muji's list notebook and a recent buy of mine but one I am loving the Livework planner perfect for blogging and creating an editorial calendar. Diaries- I have never really had a diary before it was something I didn't really desire but when I saw the Noto diaries in Paperchase I couldn't walk past them. They come in a range of colours all bringing a pop of colour to your stationary collection. Perfect for jotting down appointments. Other- I have been purchasing a lot of washi tape recently for my art and feature wall that I am currently trying to piece together and I have found the best place to buy is definantly Fox and Star an amazing quirky stationary shop that is really affordable. My favourite pens are the Papermate InkJoy's which I use everyday and highlighters I love are Stabilo Boss which last forever and have an amazing colour range. What are your favourite stationary buys?